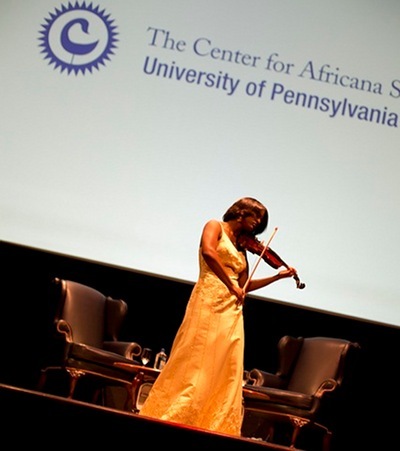 English Department Graduate PhD student Melanie Hill plays violin at the John Legend discussion event for MLK Day. The PennGazette has more info, including a clip of Melanie playing "Ordinary People". See here for photos of the event.